Can works of art create social space through the communities they implicate? 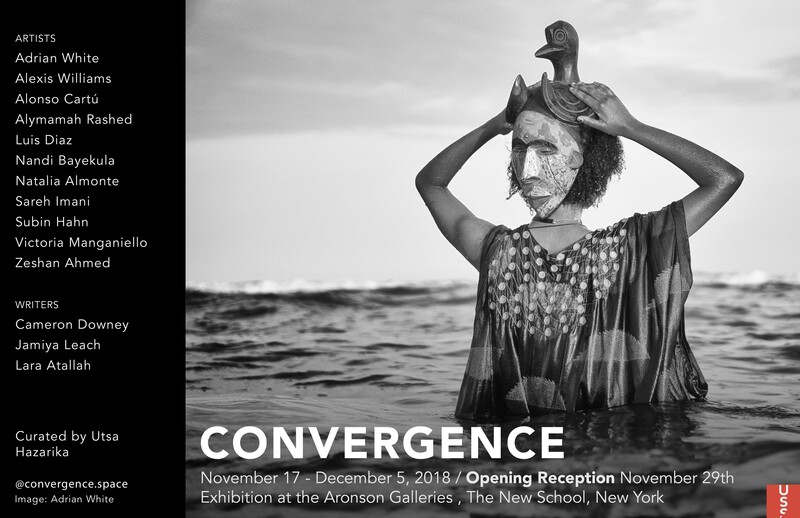 Convergence explores this possibility through art works that address race, gender, class and nationality, and are composed in dialogue, unison and dissonance within the exhibition space. Inspired by Homi Bhabha’s description of social processes where “things come from different places, through different media, different histories, and converge in a place, idea, or image” (Artforum/2017), this show brings together an assemblage that disobeys the conventional boundaries of individual works, blurring the lines of authorship and allowing new forms of collective expression to emerge from these interactions. Find Convergence on Facebook and Instagram for updates and more information on exhibiting artists and writers.